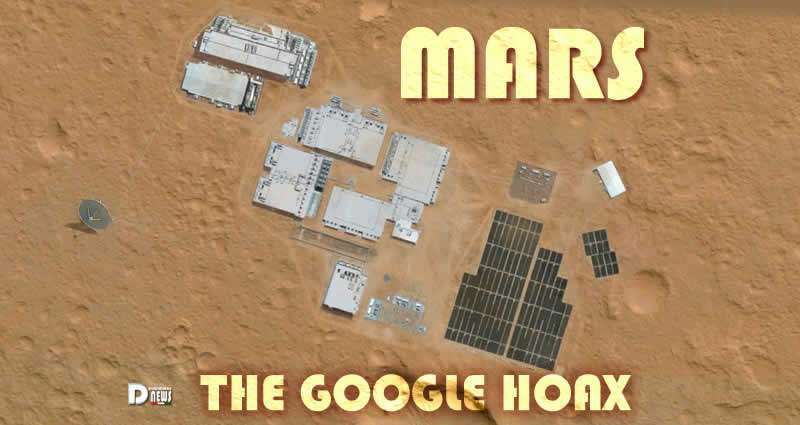 Mars The Google Hoax. A suspect image is circulating on the web, take a look at this amazing discovery. In this location in Google Maps/Mars, you will find the image of a secret base. By doing research it turns out that it is actually a Google Data Center that the Corporation plans to build on Mars. Google published it on March 31, probably as April 1st Hoax.